For those who seek to have a more personal experience or want to save on costs, home funerals are an option to consider. 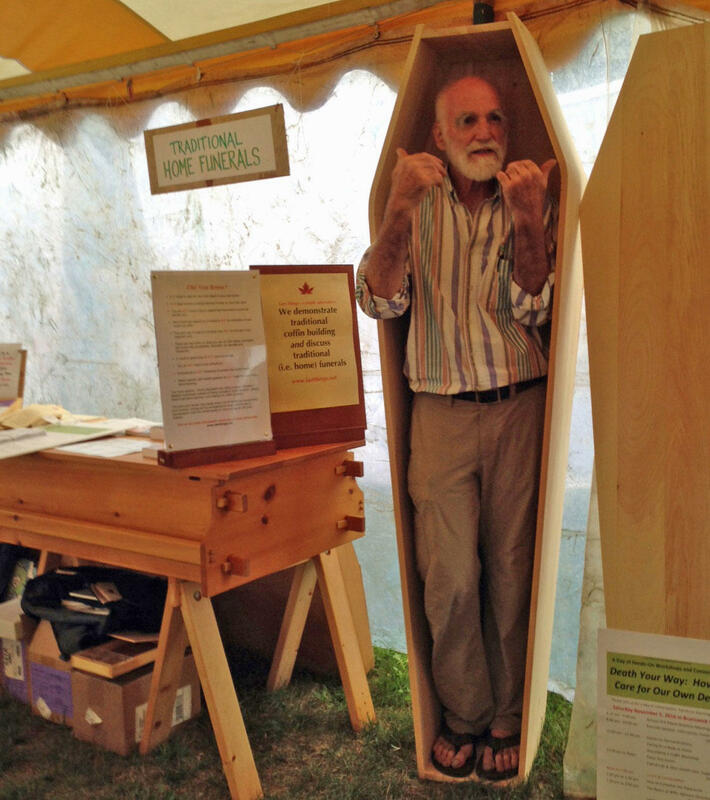 Chuck Lakin is a retired college librarian, master woodworker of fine furniture and caskets, and dedicated home funeral educator with Maine's Last Things. Julie Lanoie RN, MA, is a registered nurse, counselor, hospice bereavement coordinator, and therapeutic respite provider in New Hampshire. She received her home funeral training with Final Passages and is an advocate for family-directed funerals and informed choice in funeral planning. Leon Bresloff is vice president, Funeral Consumers Alliance of Maine, as well as a nurse and healthcare administrator. Listen to our conversation about home funerals.